This segment is part of The State of Science, a series featuring science stories from public radio stations across the United States. A version of this story, by Eli Chen, originally appeared on St. Louis Public Radio. This story is part of a series on coal ash regulation in Missouri. Read more reporting on St. Louis Public Radio. About 11 years ago, a small group of residents in Labadie learned that the power plant in their town owned massive pits of toxic waste known as coal ash ponds. They discovered that the Labadie Energy Center—Ameren Missouri’s largest coal-fired power plant—has two basins packed with byproducts from coal combustion. The waste includes toxic, cancer-causing chemicals such as arsenic, mercury and lead. For more than 50 years, utility companies have filled largely unlined coal ash ponds with harmful waste. But the state has never regulated them or required their owners to test groundwater nearby for contamination. A Washington University data analysis recently found high levels of groundwater contamination near the ponds. Some of the residents who looked into the ponds years ago became members of the Labadie Environmental Organization, which raises awareness of environmental issues related to the Labadie Energy Center. The group and other St. Louis-area environmental activists are worried that the state’s recently proposed rules for coal ash waste storage won’t protect their local water resources. Since several of the ponds are located near the Missouri and Mississippi rivers, residents near power plants are concerned about ponds becoming flooded, like when Hurricane Florence flooded two coal ash ponds at a power plant in Wilmington, North Carolina, last fall. Others who live closer to the plants and rely on well water also wonder if they should be worried about groundwater contamination coming in contact with their wells. The Environmental Protection Agency began regulating coal ash waste disposal in October 2015 and required utilities to annually test groundwater near ponds that are actively receiving waste. Companies were also required to publish the test findings online. 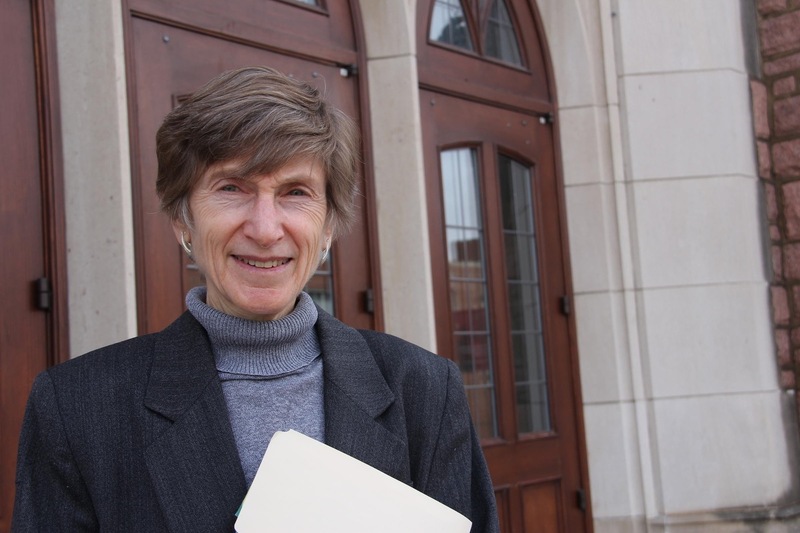 The Washington University Interdisciplinary Environmental Law Clinic analyzed the data and found that groundwater near many active ponds show levels of arsenic, boron and other disease-causing chemicals that exceed state and federal drinking-water standards. For example, lawyers found that groundwater tested near Ameren’s Rush Island Energy Center in Festus showed arsenic levels that are 25 times the federal standard. Near Associated Electric Cooperative’s New Madrid plant, tests detected levels of boron—which can damage multiple human organs—at 10 times above the state groundwater standard.Officials with Empire District and the Associated Electric Cooperative said in statements that they are complying with the federal coal ash rule. 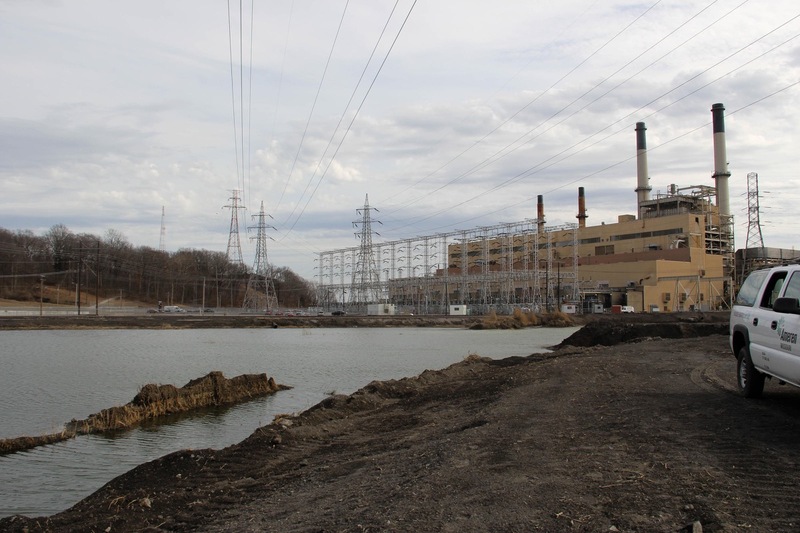 Kansas City Power and Light officials say that more studies are needed to confirm the link between excessive contaminant levels and ponds at their Montrose and Sibley plants. Ameren’s reports conclude that high levels of potentially harmful chemicals in area groundwater do not pose a risk to human health and the environment. Ameren has not tested residential wells. The utility determined that the ponds pose no risk to drinking-water sources based on its tests from wells that the company installed near the Rush Island and Labadie plants, Giesmann said. Coal-fired power plants in other states also have reported significant groundwater contamination near their coal ash ponds. A report from the environmental law group Earthjustice listed dozens of power plants where levels of arsenic, cobalt and lead have exceeded state or federal groundwater limits. Coal ash waste likely has contaminated more groundwater than what the data shows, Lipeles said. The EPA will begin requesting groundwater data for ponds that are technically open but not receiving waste later this year. The federal rule exempts closed ponds from groundwater testing. Since the EPA established its coal ash rule in 2015, Missouri utility companies have planned to close their coal ash ponds. Companies, such as Ameren Missouri, claim that’s because the technology at their facilities have advanced and no longer require water to process coal, thus eliminating the need for ponds. However, many ponds in Missouri, including all of Ameren’s, have failed a key requirement in the federal rule: The pond must be built at least five feet above the top of the aquifer that’s closest to the surface. According to federal regulations, the company must close the pond if it fails to meet all of the location requirements. Under the EPA’s rule, companies can close the pond by digging up the waste and taking it to another site for disposal or capping the ponds with the waste in place. Ameren Missouri, Associated Electric Cooperative, the city of Sikeston, Liberty Utilities Empire District and Independence Power and Light have chosen the latter method for some or all of their facilities. At a media briefing Ameren Missouri held last year to announce that it was capping all of 15 of its coal ash ponds in Missouri, Giesmann said removing the waste would be difficult logistically. “A lot of these ash ponds are very deep, and when we looked at it in terms of digging it up and taking it somewhere else, it presents a lot of challenges and would take years and years to complete,” Giesmann said. The Missouri Sierra Club and the Labadie Environmental Organization, groups that Lipeles represents, are opposed to closing the ponds without removing the waste. Many ponds do not have liners that prevent contact with groundwater. “As long as that ash is there, you’re going to have groundwater contamination indefinitely,” Lipeles said. Will Missouri’s Coal Ash Waste Regulations Be Strong Enough? Just before resigning from office, former Gov. Eric Greitens signed a bill to give the Missouri Department of Natural Resources the ability to set state regulations for coal ash ponds and landfills. The DNR completed a draft at the end of 2018 and posted it to the state register at the beginning of this month. After considering feedback from the public, the DNR will draft a final plan and submit it to EPA for approval. The state’s proposal requires that utility companies test groundwater near ponds twice a year and stipulates utilities should take actions to address contamination if levels of harmful chemicals exceed state drinking-water standards. “Obviously you don’t typically drink shallow groundwater, but in this case, the limits are the drinking-water standards, so [the proposed regulations are] fairly protective,” said Chris Nagel, solid-waste director for the Missouri DNR. State officials could require utilities to undertake a variety of measures to clean up groundwater contamination, including digging up the waste, Nagel said. Environmentalists claim the state’s proposal isn’t strong enough to protect human health and the environment. The vague language in the draft regulations allow companies to easily argue that they do not have to clean up groundwater contamination, said Lipeles. “If you can show that people are not drinking the contaminated groundwater—and you don’t expect people to be drinking them in the future—and the groundwater isn’t connected to a drinking water supply, then you don’t have to clean it up,” Lipeles said. The proposed regulations are weaker than the federal rule and state regulations for coal ash landfills, she said. The state currently requires utilities that store waste in landfills to test for long list of harmful chemicals in nearby groundwater. The state’s proposal would instead only require that company officials first test a short list of contaminants and then test for a longer list if results indicate excessive levels. The short list does not include arsenic, lithium or radium. Under the state’s proposal, utilities are not required to publish groundwater-monitoring data online for public access. Missouri DNR officials plan to propose to EPA that the state use its own rules instead of relying on the federal rule. If utilities are not explicitly mandated to post the groundwater-monitoring results online, then the public would not be aware of contamination that could be revealed from tests done in the future, Lipeles said. The Missouri Energy Development Association, which represents the state’s utility companies, wrote to Nagel earlier this month to express support for the state’s proposed regulations. “I know there are some out there who have argued that they don’t believe they are as protective [as federal regulations]. We believe that’s simply unfounded,” said Trey Davis, president of MEDA. The public comment period for the state’s proposal ends on March 28, after a public hearing in Jefferson City on March 21. Nagel expects the state’s regulations to be effective at the end of September. However, the federal rule could change if Earthjustice, the Sierra Club and other environmental groups win a lawsuit against the EPA over coal ash regulations. It’s possible that the state’s rules could be revised if that happens, Nagel said. Should Residents Worry About The Ponds? People who live near coal-fired power plants in Missouri are generally unaware of the ponds. 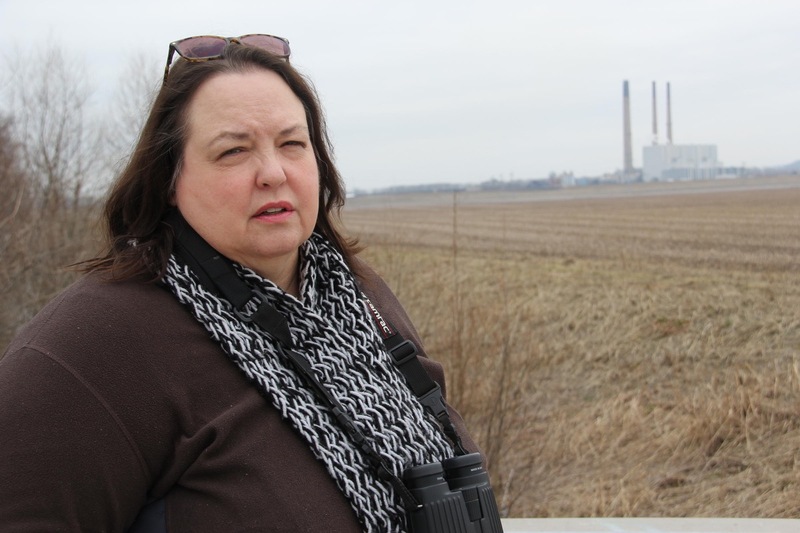 Labadie residents are an exception, in part, because of Labadie Environmental Organization founder Patricia Schuba’s efforts to raise awareness about coal ash waste. Janet Dittrich and other LEO members want to see the waste at Labadie Energy Center’s ponds dug up and taken away. They’re worried that flooding from the nearby Missouri River could spread contamination to surface waters, especially since floods from the river have become more frequent in recent years and will likely increase due to climate change. If the utilities don’t clean up the polluted groundwater, the group could potentially sue Ameren, Schuba said. Many residents along Highway T in Labadie depend on well water because their locations are too remote to access Franklin County’s water supply. Nancy Campbell, 64, and her mother Ruth Campbell, 91, live along the winding rural road. They aren’t certain they should be worried about contaminated groundwater coming in contact with their well. 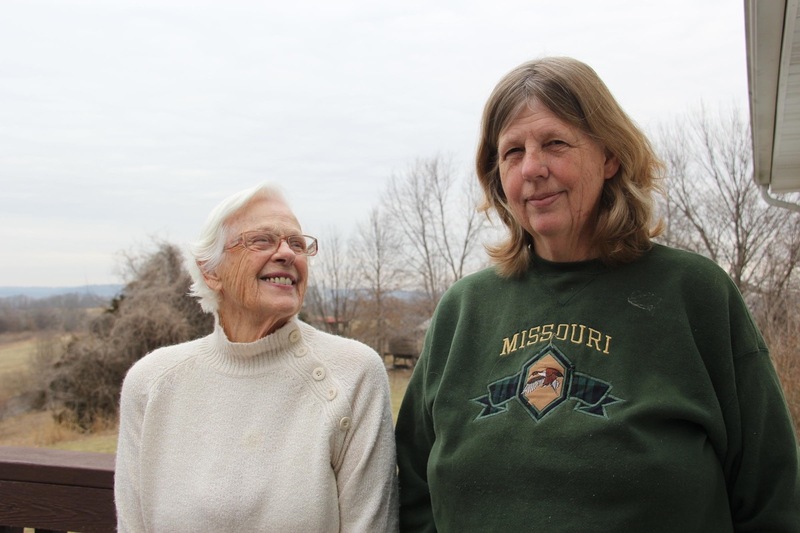 Nancy Campbell and her mother, Ruth Campbell, want Ameren Missouri to dig up and take away the waste in coal ash ponds. But they aren’t certain whether to be worried about groundwater contamination potentially polluting the well they use for drinking water. Nancy Campbell said her mother also is trying to sell some of her property, and they hope the pollution does not make that difficult. Get an overview about the Missouri coal ash ponds in this article by Eli Chen on St. Louis Public Radio. Read an article about the EPA’s response to Missouri’s plan to regulate the coal ash ponds on St. Louis Public Radio. Learn how coal ash pollution is affecting other parts of the United States, from Kentucky to North Carolina. Eli Chen is a science and environment reporter for St. Louis Public Radio and a former contributing producer for Science Friday. IRA FLATOW: And now it’s time to check in on the state of science. SPEAKER 3: Saint Louis Public Radio. IRA FLATOW: Iowa Public Radio News. IRA FLATOW: Local science stories of national significance because we know big science stories happen everywhere in cities and towns all over the country. And we know these local stories can have a big impact on all of our Science Friday listeners. 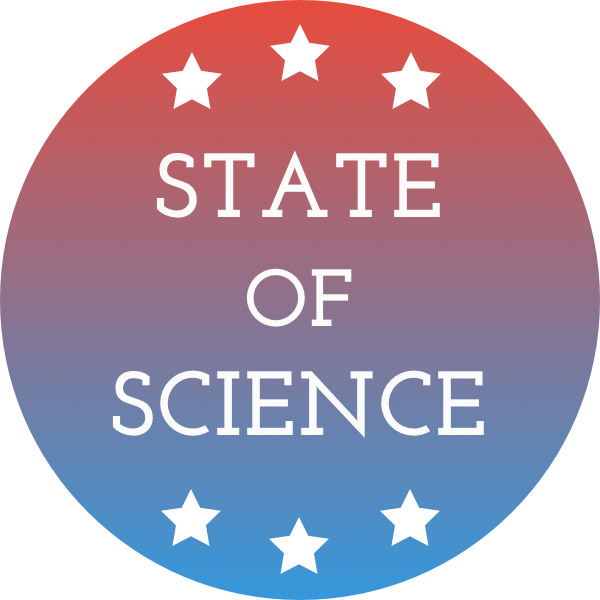 So our state of science series is our chance to highlight these science stories and the station reporters who cover them. And we will be doing these regularly so you can look forward to them. And this week we turn to Missouri, where the state may soon regulate how utilities store toxic waste from coal power plants. This comes after dozens of sites around the state were linked to nearby groundwater contamination. Here– and we’re here– excuse me. Here with more is our own sci-fi alumna– alumnus, Eli Chen, Science and Environment reporter at Saint Louis Public Radio. So how are you, Eli. Could have given you a better introduction. ELI CHEN: Oh, it’s OK, Ira. How’s it going? IRA FLATOW: Welcome back to Science Friday. So let’s talk about this. Set the scene. What are these coal ash ponds? Why did the utilities have them? ELI CHEN: So, for a long time, many power plants have used water to process coal. So when it comes time to dispose of the wet waste that’s left over after coal has been burned, it’s dumped into pits in the ground. And those pits are coal ash ponds. And the ponds vary greatly in size and appearance. I’ve seen one that looks like a lake. Another that was capped so it just looks like a large area of dry dirt. But nearly all of them in Missouri, and across the nation, don’t have liners to separate them and the rest of the environment. And a lot of them are near major rivers or bodies of water that people depend on. And some of them have existed for 40, 50 years. But they’ve been largely unregulated. IRA FLATOW: So if you don’t have liners, right? I know in pools, you have liners. If these pits don’t have liners, they– these ponds could be contaminating the groundwater. ELI CHEN: Yeah. Yeah. So there’s been some new data to suggest that these ponds are contaminating groundwater. And under the Environmental Protection Agency’s 2015 coal ash rule, utility companies are required to monitor groundwater near these ponds and file an annual report about the levels of the chemicals that coal ash contains, like arsenic, lead, mercury. And environmental lawyers at Washington University here in Saint Louis have been analyzing data for active ponds in Missouri. And they found levels of chemicals like arsenic that have exceeded federal drinking water standards. And, on a national level, there have been environmental groups, like Earthjustice, that have found exceedances in toxic chemicals or ponds for, I believe, more than 60 power plants across the country. IRA FLATOW: Now there have been a lot of people living near these ponds for decades. How do they feel about this news? ELI CHEN: So, unfortunately, a lot of residents near these ponds aren’t aware they exist. But there are a few very engaged communities, like the residents who live near Ameren Missouri’s power plant, Labadie, Missouri. That’s a rural town about 40 miles outside of Saint Louis. And they absolutely want the waste excavated and taken somewhere else. But Ameren has decided to cap the ponds without removing the waste. And so some of the residents came to a recent public hearing that the state regulators held a couple of weeks ago about its developing rule for coal ash, including 12-year-old Ella [INAUDIBLE], who came with her mother. ELLA: Everyone we know says that the ash ponds should be dug up and put in the landfill. And the water cleaned up. We all drink well water, and many of us are scared that the pollution they have found will end up hurting us and our neighbors. IRA FLATOW: These teenagers are going to save all of us. IRA FLATOW: You mentioned that the state wants to regulate these ponds. How strong could that regulation be? ELI CHEN: Yeah, so I want to back up for a second because there’s an interesting thing about the Federal Rule. So the coal ash waste is not classified as hazardous waste because the coal industry lobbied pretty hard for it not to be. And because it’s not considered hazardous waste, the EPA is leaving it to states to regulate coal ash ponds and landfills. So Missouri has been developing its plan. And it’s planning to send it to the EPA to get approved this year. But there’s been a lot of unhappiness from environmentalists and residents, who point out provisions that allow utility companies to not have to clean up contamination of their excessive levels, or not even to have to do groundwater monitoring. And earlier this month, or last month rather, the EPA had sent a letter to the Missouri Department of Natural Resources saying that the state’s plan is weaker than the Federal rule. IRA FLATOW: So that means they would have to beef it up? ELI CHEN: It sounds like it. But it’s hard to say what the department is doing, the State Department rather, is doing right now. Because the public comments have– the public comment period recently closed, so they’re trying to review that data right now. IRA FLATOW: I’m sure there are other places around the country with this similar problem. How does this compare to other parts of the country where they’re grappling with coal ash waste? ELI CHEN: Yeah. So coal ash ponds all around the country where there are coal-fired power plants. In Illinois, I’ve heard a lot of reporting about coal ash contamination. Contaminating some really key waterways. And I was contacted actually just a few days ago by a law office in Kentucky that wanted to get some more information about some of the stuff I’ve reported on. And I believe I heard this week that Duke Energy in North Carolina was ordered to excavate waste from all of its ponds. And that’s a pretty big deal. IRA FLATOW: It is. They’re a big company. We’re out of time, Eli, and I want to tell our listeners they can– you can read more about this story and an entire State of Science series at ScienceFriday.com/sos. Eli Chen, science and environmental reporter at Saint Louis Public Radio. Thank you for taking the time to be with us today, Eli. The New Mexico state legislature has passed a bill calling for the state to transition entirely to renewable energy by 2050. Environmentalists and industry representatives disagree about the amount of coal ash in a North Carolina river following recent flooding.